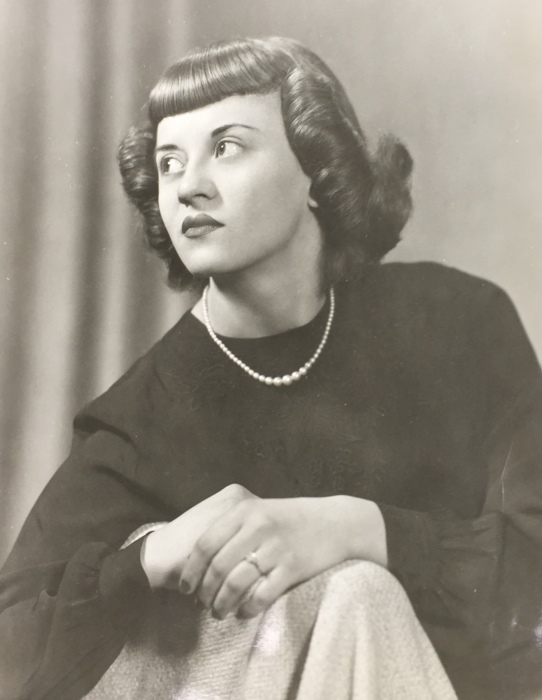 Pauline K. Leggett, 87, passed away peacefully, on Thursday, October 4, 2018 with her two loving sons at her side. Born in Schenectady, NY she was the daughter of the late Lucas and Bozena Komorny. Pauline married the late James H. Leggett, on April 25, 1953 and were married for fifty-five years when he passed in 2008. She is also predeceased by sisters, Matilda (Dominick) Catalfamo, Ann Ferris, Mildred (John) Korowajczyk and brother, Paul (Helen) Komorny. Pauline is survived by her sons, Robert Leggett of Guilderland, and Jeffrey Leggett of Newark, Delaware. She is also survived by several nieces and nephews. Funeral services will be held on Tuesday, October 9, at 10:15 a.m. from the DeLegge Funeral Home, followed by a Mass of Christian Burial 11:00 a.m. at St. Paul the Apostle Church. Interment will be in Sts. Cyril and Method Cemetery. Calling hours will be held on Monday evening, from 6-8 p.m. at the DeLegge Funeral Home. Memorial contributions in Pauline's name may be made to the March of Dimes Delaware Market 3495 Piedmont Rd., Bldg. 12, Suite 210, Atlanta, GA 30305.